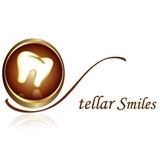 Stellar Smiles Dental Care (Washington) - Book Appointment Online! Our mission is to provide exceptional care every time you visit us. The Stellar Smiles team pride themselves in creating a first-class dental experience for all patients. As a practice, we are true believers that preventative care and education are the keys to optimal dental health. That’s why we focus on thorough exams and individual risk assessment to prevent problems before they happen. Not only are we focused on the beauty of your smile, we care also concerned about your overall health. Dr. Jones was very attentive of my family's needs and thoroughly explained to me what the process was going to be. We will be returning!